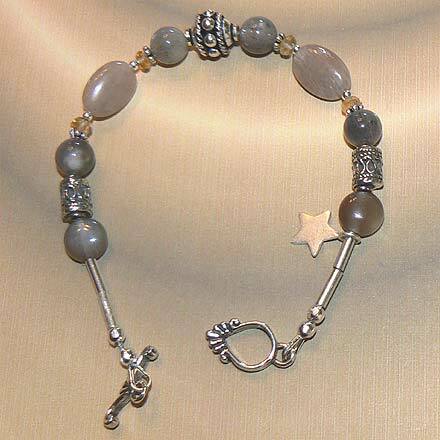 Grey Moonstone and Citrine earrings, bracelet, necklace and close-up of necklace. 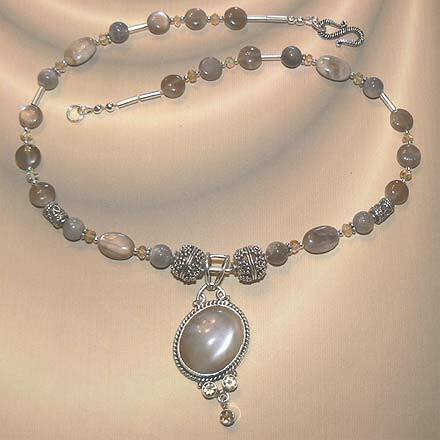 Sterling Silver Grey Moonstone and Citrine Necklace. 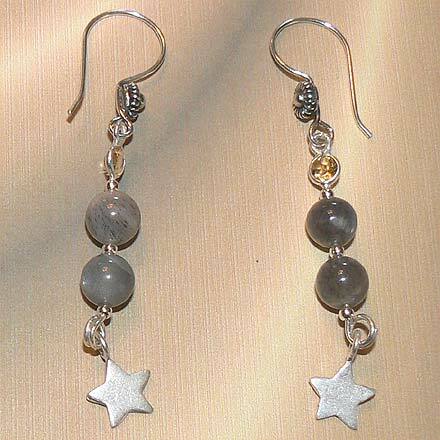 Golden Citrine twinkles amongst this very unusual grey (actually, it’s sort of beige) Moonstone. 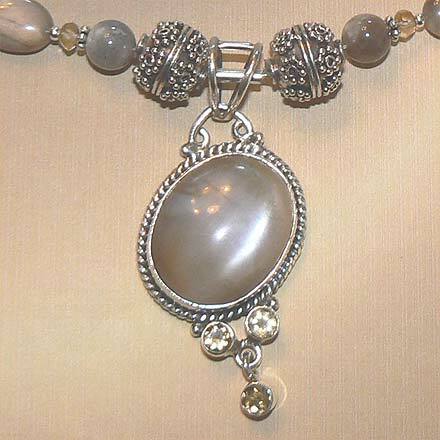 For those who are interested in Astrological significances of stones, Moonstone corresponds with Cancer and the month of June and Citrine is November’s birthstone.